JACKSONVILLE, Fla. - North Florida Shipyards is potentially facing a $271,061 fine after the Occupational Safety and Health Administration investigated the death of an employee in January at its Commodores Point facility in Jacksonville. Atakorah Padmore, 34, was pulled from the St. Johns River on Jan. 21, hours after an employee heard a loud noise and saw that he had fallen in the water. OSHA's report, issued this week, said the worker drowned after a pressured air manifold struck him and knocked him into the river. OSHA cited North Florida Shiphards for safety violations, including exposing employees to being struck-by, drowning, amputation, caught-in and electrical hazards; allowing scuba divers to be unaccompanied by another diver; and failing to ensure machine guarding. “As this case demonstrates, it is important for employers to identify existing hazards, and follow required safety procedures to protect workers from serious injuries,” Buddy Underwood, OSHA's Jacksonville acting area office director said in a statement. 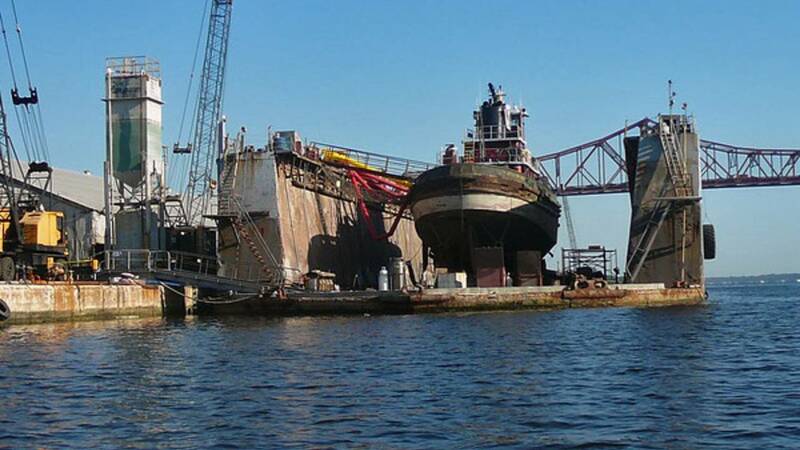 North Florida Shipyards was given 15 business days from receipt of its citations and proposed penalties to comply, request an informal conference with OSHA’s area director or contest the findings.